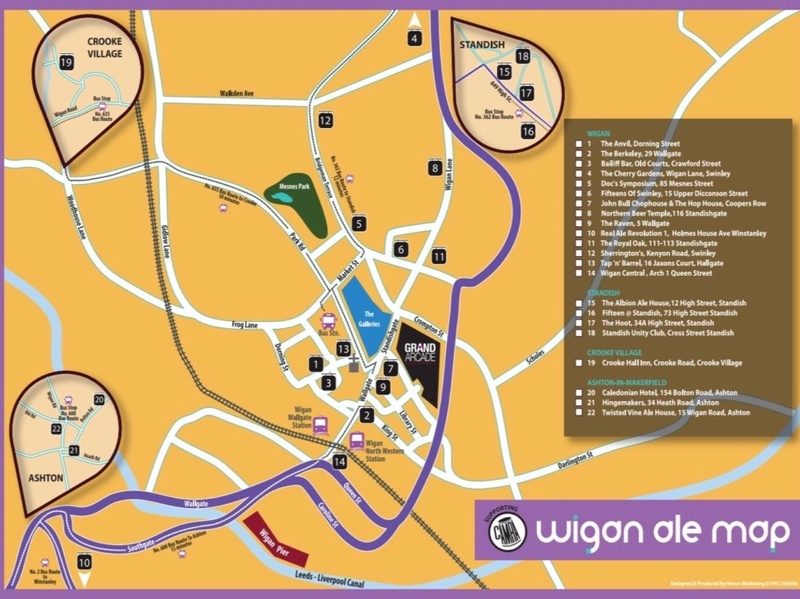 Wigan Ale Map is out in the wild, and will be at all 22 pubs by the end of the week. Visit the pubs, get a stamp, earn rewards. This doesn't have to be in one day of course, and make sure you drink responsibly! The map is free, but donations to @ProstateUK are encouraged. You can collect your map from any of the 22 Pubs (and Bottle Shop!) (all by the end of the week, but many have them now). Each of these pubs (and Bottle Shop!) have a passion for Real Ale, and really showcase how great the Wigan Area is for a drink! 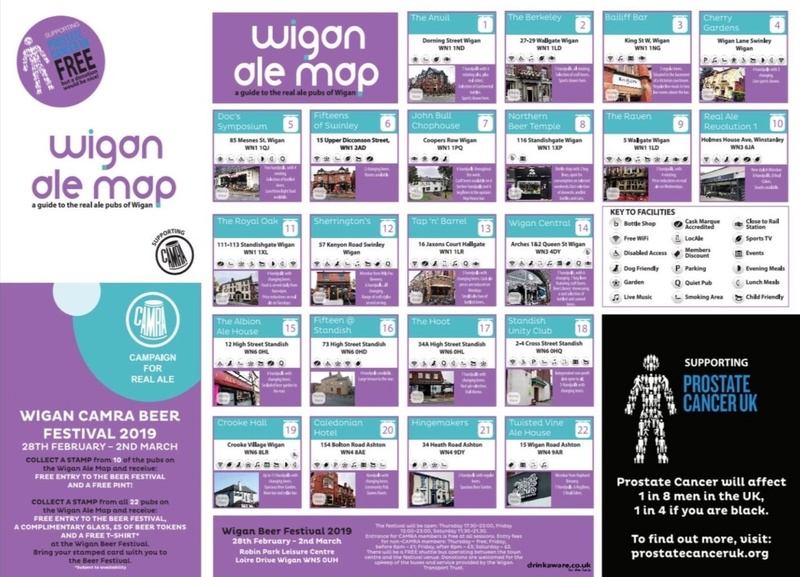 There's a nice little reward for people that come to Wigan CAMRA Beer Festival that visit 10 or more locations, so have a little explore, visit some places you may not have been to for a while, or ever, and enjoy the variety Wigan has to offer!